There are times when you feel like nothing could cheer you up. You feel like everything is going in the wrong direction and you can’t do anything about it. Most of us experience these feelings from time to time. But sometimes motivation is what you need in order to get up and face another day. 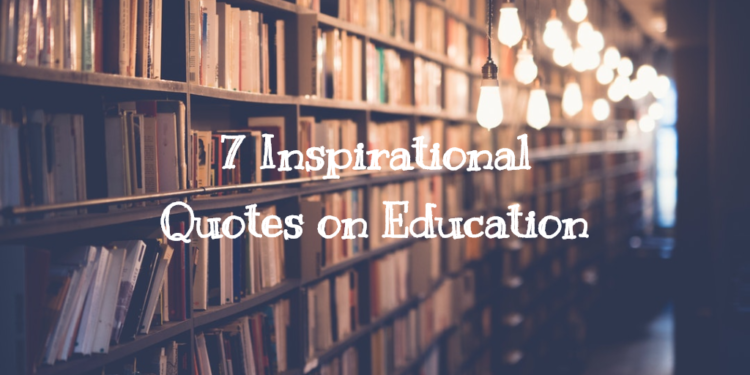 Luckily, we created a list of motivational quotes for students that will definitely get you back on your feet and ready to take on the world. These quotes bear powerful meanings, and contemplating them will help you remember who you truly are. “The function of education is to teach one to think intensively and to think critically. Intelligence plus character – that is the goal of true education.“ – Martin Luther King, Jr. In today’s world education lost its true purpose. We no longer understand what education means and how should we pursue it. Our education is not done in school, is done in our daily lives. Every experience that we have bears a powerful lesson. Education is much more than memorizing and repeating, learning is our only purpose on this planet. We are here to grow and expand our perception regarding the whole universe. Learning shouldn’t be something you do in order to achieve something. Learning is like dancing or singing is something you do in order to feel alive. It’s something that brings you joy. Learn every single day because life is worth studying. Only through education, we will be able to understand our true selves. You should never forget that learning is a life-long process. 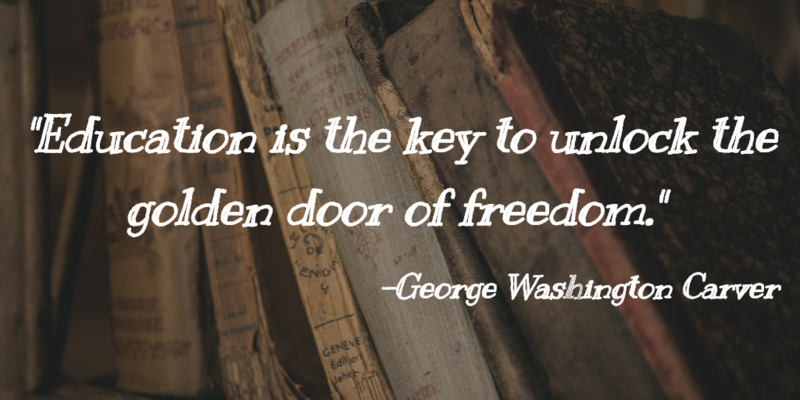 The doors of freedom are opened only to those who chose to never stop learning. Everybody has a dream, and in order to attain this dream, you must live it every single day. Therefore, if you really wish to help someone achieve their goal, start by looking at them like they already achieved it. Believing in them is how you motivate them. First of all, perfection doesn’t exist. Each of us sees perfection in their own way, therefore, something can be perfect for me but not perfect for you. Making mistakes is the only way to learn. So don’t be scared to make mistakes, even nature does it. Making mistakes is part of our evolution. No one attained success without making a “thousand” mistakes. Nowadays, we are going to war with everything we do not like or we do not feel comfortable with. There is the “war” on drugs, the “war” on cancer, the “war” on poverty, and so on. The crazy thing is that we love war so much that we use this word to describe the actions we take in order to make our lives better. This is the world today. We lack education, so we go to war. Let me tell you something. Your potential is unlimited! There is nothing you can’t do. And the beautiful part is that all of us have the same potential, the same roots. Indeed, there are people that are more advanced in their development than others but that doesn’t make them superior. If you are passionate about your dream, nothing can stop you from achieving it. As you can see, education is what differentiates us from animals. 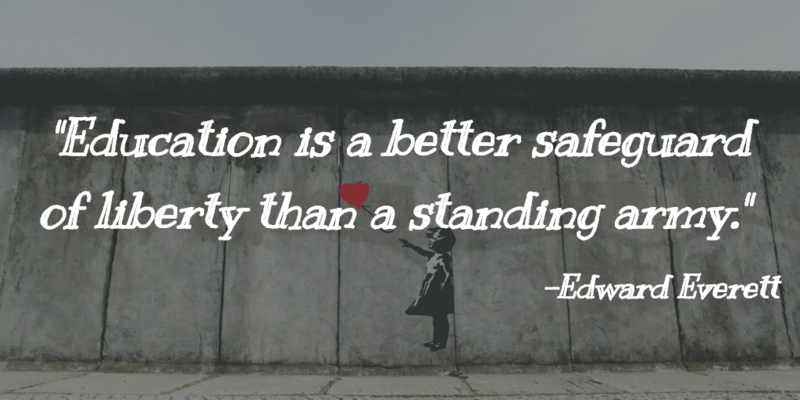 Keep in mind, constant learning is the only way to stay and feel alive. Learning is a never-ending process filled with amazing experiences. Make yourself a favor and experience this life to the fullest!